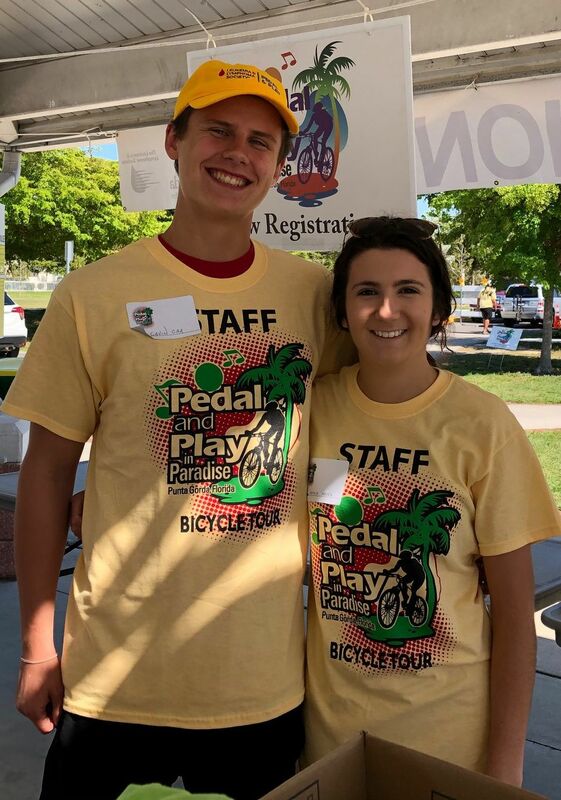 Gavin Car and Natalie Hayek, volunteers from Florida SouthWestern Collegiate High School, served as volunteers on Friday for the City Manager’s Tour. 1st time riders, Debbie and Dr. James McCarty. The Riverwood Eating and Biking Society were represented on the City Manager’s Tour. From left: Don and Sandi Walker, Dave and Trudie Myers and Marge and Gwin Whitney. From left: Fab Delville all the way from Belgium and Steve and Scott Johnson prepare for the City Manager’s Tour ride. Over 120 riders prepare for Howard Kunik (shown at right) and his City Manager’s Tour on Friday, March 22. A group riding toward the second stop, Gilchrist Park, to hear the story of the mural created by Ron Bates and made possible by a donation of $100,000 raised by Friends of Gilchrist Park. Right: The group arrived at the third stop of the evening, the new location of the Military Heritage Museum. Riders were given a tour of the new facility. The group of riders at the fourth stop of the evening, the new location of the Punta Gorda Library. 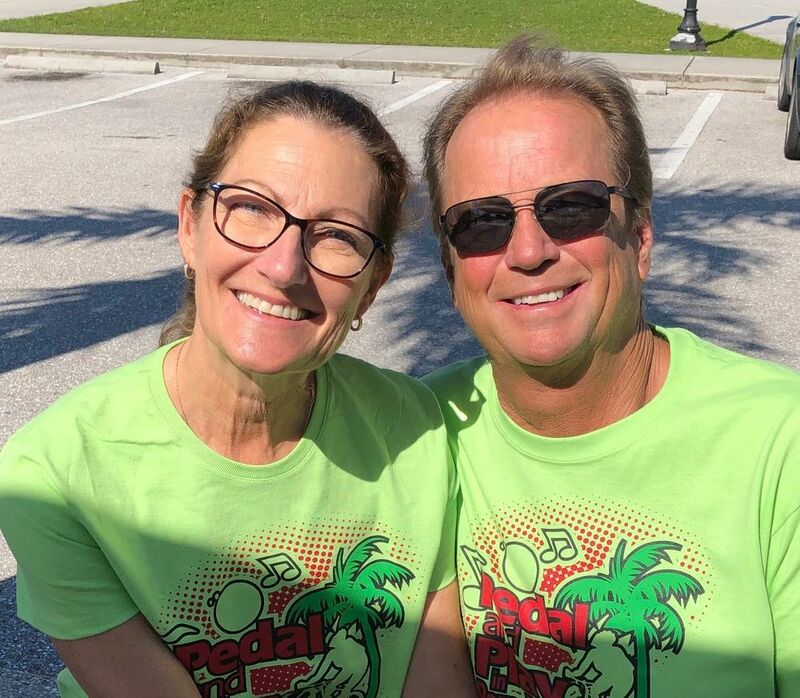 The 10th annual Punta Gorda Pedal and Play in Paradise was held on March 22-23. On Friday night riders had the opportunity to ride with City Manager, Howard Kunik, for the City Manager’s Tour and a choice of a 10-mile mystery ride, 15-mile, 30-mile and 62-mile ride on Saturday. Proceeds from this event benefit the Leukemia and Lymphoma Society as well as TEAM Punta Gorda’s bicycle initiatives. For more information, visit PedalandPlayinParadise.com.